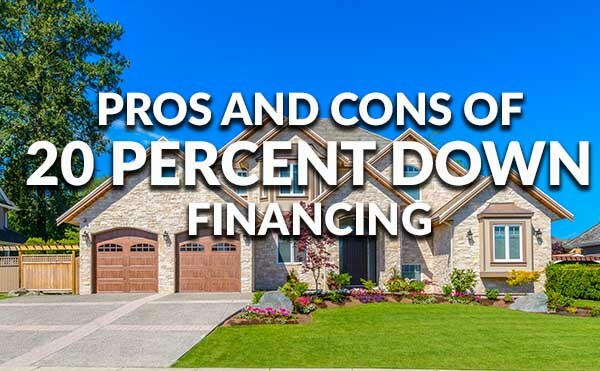 What Are the Pros and Cons of Financing with 20 Percent Down? Question: We are first-time home buyers and would like to finance with 20 percent down. Some of our friends say we should buy with less up front and now we’re beginning to like the idea of a purchase with as little money up front as possible. What are the pros and cons of financing with at least 20 percent down? Answer: It is relatively rare to find a first-time buyer who can purchase with 20 percent down. This puts you in an elite group that will make lenders very happy. If the other aspects of your mortgage application are also strong you should have a little trouble qualifying for a loan. The 2017 downpayment averages reflect a very important change in the marketplace. Over time, both new and repeat buyers are financing with less and less upfront. But what about the pros and cons? First, if you purchase with 20 percent down your monthly payment will be smaller because you will owe less to the lender. Second, by putting at least 20 percent down the lender will not require mortgage insurance. According to U.S. Mortgage Insurers, a trade group, the typical write-off for mortgage insurance premiums is $1,529. Third, a big advantage with large downpayments in a purchase situation is a matter of perception. Many sellers believe that a big downpayment assures that the transaction will go through. There is now a lot of demand for houses in most metro areas, in part because of limited inventory. NAR says that in October there were 1.8 million existing units available for purchase. That sounds like a big number, but it’s actually 10.1 percent lower than a year ago and the 29th consecutive monthly decline. Tight inventory favors sellers, but getting a good bid is not enough. Sellers need to be sure that a potential buyer can actually afford the property. They will ask buyers to present a pre-approval letter from a lender showing that the purchaser is qualified to close the deal. Being able to purchase with 20 percent down makes financing easier for qualified borrowers. Also, if the seller gets multiple offers, a bid with the bigger downpayment is an advantage. Think about it – if you were a seller and one bid had a 20 percent downpayment and an equal purchase offer was at 5 percent, which would you prefer? For sellers, the stronger the offer the better. If the bid is accepted and later falls through, it means that the owner may have lost other offers as well as delayed the purchase of a replacement property. Worse, the seller may be counting on a closing by a particular date. If the transaction is not completed in a timely manner it could mean that the seller’s purchase of a new property will be delayed or even fall through. If this sounds like an unlikely scenario, consider that some pending sales do not close. The reasons can include such problems as lower appraisals, unsatisfactory home inspections, and sometimes declined loan applications. If your seller is worried about the ability of a buyer to get financing, a big downpayment can help ease such concerns. On the con side, bids with 20 percent down have their drawbacks. First, Is there a better place where you can use the money? For example, do you have large credit card balances? What is the interest rate for any outstanding student loans? Can the money be better spent starting a new business? Second, if 20 percent down is possible but a stretch, you may be better off with a smaller downpayment. The reason is that you can then set aside more funds for reserves. Reserves are important in case of a job loss or income reduction, events too common these days. Does buying with 20 percent down make sense for you, even if you have the cash? As you can see the answer is not always a quick yes. Take a look at your finances and preferences before making such a large commitment. 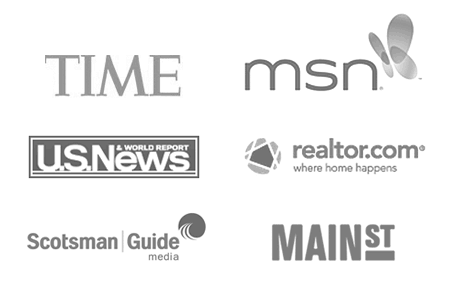 Click to check mortgage rates.